If you have good credit, those three little words are pretty innocuous. If, however, you have bad credit, well, the idea of a credit check can cause near-instant feelings of dread as you start thinking of the seemingly inevitable rejection to come. It’s that feeling that often prompts bad-credit borrowers to search for loans from lenders that don’t perform credit checks. Unfortunately, not only are “no credit check” loans often extremely expensive, a few minutes of searching will unveil that most of these lenders seem questionable, at best. Are There Legitimate “No Credit Check” Loans? 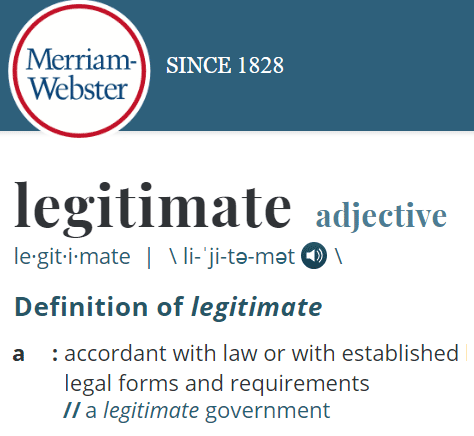 According to the technical definition, it’s probably fair to say that the majority of online lenders are “legitimate” — as is, they operate within the legal limits of what they are allowed to do. Unfortunately for consumers, the rules are pretty broad in many places and give lenders a lot of leeway. Most online lenders conform to the technical definition of legitimate, which simply means they act within the bounds of the law. Which brings us to the next interpretation, the question of whether you can find “no credit check” loans that aren’t scammy or predatory. This one is harder to answer; just because a lender is acting legally doesn’t mean it is acting with the consumer’s best interests at heart. Consumer credit checks are performed as a way to help the lender determine how much risk a given borrower represents. In other words, looking at your credit history through your credit reports helps lenders figure out how likely you are to pay back any money you borrow. Applicants with good credit histories — i.e., high credit scores — are typically charged less, because they’re less likely to default on the debt (stop paying it back). And the reverse is true; borrowers with bad credit are typically charged higher rates to make up for the higher rate of default. Lenders that are willing to offer you a loan without checking your credit history are basically saying that they don’t care about the potential risk. Since the typical lender is a business looking to make a profit, the seeming lack of interest in your credit history should be an immediate red flag that the lender may not be on the up-and-up. At worst, a lender that doesn’t perform credit checks is actually a shady fraudster looking to steal your personal information (or your money). Even in the best case scenario, however, a “legit” lender that doesn’t check your credit is more than likely going to charge you a fortune for any money you borrow. Basically, lenders that don’t check credit reports are accepting a huge amount of credit risk. They make up for that risk by charging extremely high interest rates or “finance fees.” That way, even if a big portion of borrowers don’t repay their debts, the lender has already made enough money on interest fees to make an overall profit. What’s more, these lenders get away with it due to the fact that bad-credit borrowers have limited options, and having few options can make you feel desperate. Rather than let fear of a credit check drive you to make a costly borrowing mistake, however, make sure you’ve actually explored all of your options, no matter how limited they may seem. 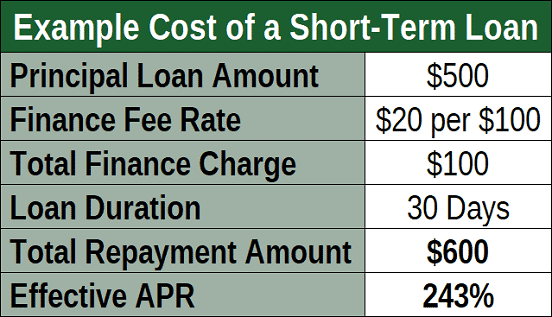 Sure, short-term loans are typically the easiest type of financing to get — but there’s a reason for that: cost. If you know that’s what you want, see that section for some providers. However, a smarter move would be to first explore your options for a longer-term installment loan, which can not only be less expensive overall, but can be much easier to repay thanks to smaller payments. When most folks think of installment loans, they immediately think of auto or home loans, but plenty of lenders also offer personal installment loans that can be used for just about anything. Similar to a home or auto loan, personal installment loans are repaid through set monthly payments, rather than the lump-sum repayment required by short-term loans. You can often find low-cost installment loans at your local credit union, or you can head online for more options and variety. An online lending network, like some of our options below, can be a simple way to find compatible lenders without needing to fill out multiple applications. Avant offers personal loans of up to $35,000 to borrowers of various credit types and it requires a minimum score of just 580 to apply. Keep in mind that the loan amount, rates, and fees you are charged will depend on all of your qualifications. Applicants will need a minimum verifiable annual income of at least $20,000 to be approved. Loans can come with an administration fee of up to 4.5% of the loan amount, and the fee is taken out of the loan at the time of funding. Avant charges no prepayment penalty fee for paying down your loan early. 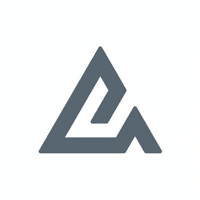 LendingClub is an online peer-to-peer network that offers loans funded through the contributions of individual investors. Loans can be obtained by qualified applicants for up to $40,000, though borrowers need to have a minimum credit score of 600 to apply. In addition to a minimum credit score requirement, LendingClub requires that borrowers have at least three years of credit history. 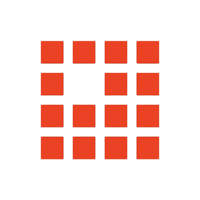 The fees charged for LendingClub loans will vary based on the in-house risk score given to each borrower, with origination fees as high as 6% possible. 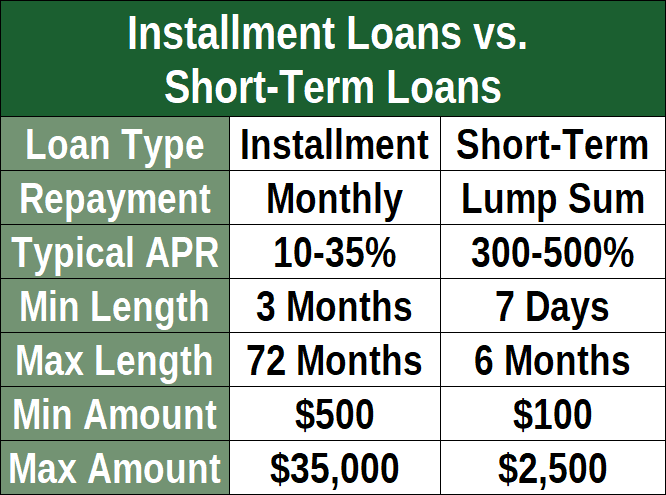 Although installment loans generally allow you to reduce your monthly payment by extending your repayment period, don’t just select the maximum term length without doing a little arithmetic. Longer loans cost more overall, so balance the total cost of your loan with an affordable monthly payment for the best results. In some cases, lenders may accept some sort of collateral in exchange for a higher loan amount or lower rates. Collateral loans represent less risk to lenders than unsecured loans, as the lenders can sell off your collateral to recover some of their money if you default. If you’ve crunched the numbers, done all the math, and still believe that a short-term loan is better than one of the alternatives, then your next step is to determine which lender to use. The majority of online payday lenders have websites that pretty much all look the same, making it hard to spot the frauds in the mix. An online lending network can be a convenient place to shop for a short-term loan. While you’ll still need to thoroughly vet any lender you select, at least you’ll have the peace of mind that the network’s partners should all be legitimate lenders (rather than illegal scammers). 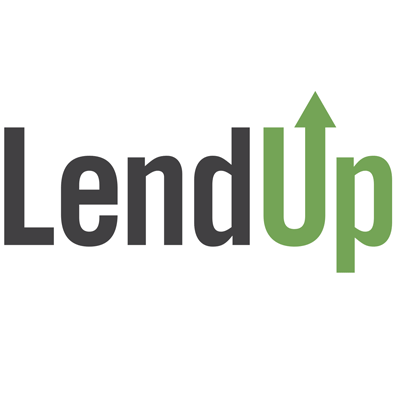 LendUp is a direct lender that offers short-term loans for borrowers with various types of credit. Decisions are usually instant through the online application. Loan amounts vary by state, but $100 to $500 loans are typical. Although rates and fees for a LendUp short-term loan are on par with most short-term loans, repeat borrowers who pay on time can eventually access lower fees through the lender’s LendUp Ladder program. 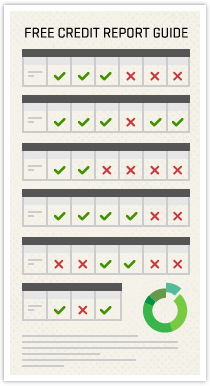 When researching which lender to use, be sure you look at multiple sources for a complete view. This includes respected business review sources, like the BBB and Consumer Affairs, as well as consumer reviews from actual customers. Although it may feel like a no-credit-check payday loan is the only option, this simply isn’t the case. Cheaper options exist for most consumers, including the installment loans and lenders mentioned above. However, you may have options even beyond the traditional personal loan market for dealing with your debt. In general, the best (and most affordable) method of dealing with your debt issues will vary based on the type of financing you actually need. If you just need a short-term loan for an unexpected expense, for instance, a credit card may be your best bet. Longer-term options, like home equity or credit union loans, can also often be found despite less-than-perfect credit. In essence, credit cards are basically short-term loans that you can use over and over again. Even better, however, is that credit cards can have affordable minimum payments each month that give you flexibility in how long you take to repay your balance. Although subprime credit cards charge high fees compared to your average credit card, those same fees can be downright affordable compared to the high cost of a no-credit-check short-term or payday loan. While you’ll still need to undergo a credit check for most credit cards, subprime card issuers tend to have exceptionally flexible requirements, and will rarely reject an applicant solely due to a low score. Credit cards can be a good source of short-term funding, and you can carry a balance from month to month if you’re having a little trouble repaying the full amount. Remember that you’ll need to make at least the minimum required payment each statement period, however, or else you’ll be charged a late fee. Of course, the ideal way to use your cards for short-term financing is to pay the balance in full each month. The majority of credit cards come with a grace period that means you won’t be charged interest on your balance if you pay it off entirely before the due date for that billing cycle. Although hardly the only reason to purchase a home, one of the many reasons people like to buy property is that it can appreciate in value over time. Even if your home hasn’t increased in value, however, your equity in your home will increase over time as you pay down your mortgage loan. The equity that you build in your home can represent significant value, and not just when it comes to reselling. You can often use that equity as collateral to obtain a home equity line of credit (HELOC) or a home equity loan. Most lenders who offer mortgages will offer home equity loans, including some of our picks below. Click here for application, terms, and details. If a home equity loan or credit line doesn’t suit, another way to get extra cash out of your home’s equity is through a cash-out refinance loan. In a regular mortgage refinance, you’d take out a new loan for the same amount that you owe on your current mortgage, and use the new loan to pay off the old loan. Ideally, the new loan has a lower APR to reduce your costs. A cash-out refinance loan is basically the same, except instead of the new loan being for only what you still owe on your existing mortgage, the new loan is for a larger amount based on how much equity you have in the home. The extra money can then be used for anything you need, from paying off debt to covering an emergency. You can look into getting a cash-out refinance loan insured by the FHA if you’re worried about getting approved. Just remember that you must be using your home as your principal residence for it to qualify for an FHA cash-out refinance loan. One option for financing of various types that is often overlooked by many consumers is your local credit union. Instead of being run by a board of directors like a traditional bank, credit unions are owned by their members, putting the power in the hands of the customers. Without shareholders to pay, credit unions pass their earnings on to members through lower rates and fees. Credit unions also tend to have flexible credit requirements that make them more likely than larger banks to loan to borrowers with less-than-perfect credit. Most credit unions offer personal installment loans, which are best for any sum over $500. However, some federal credit unions also offer what’s known as a Payday Alternative Loan, or PAL. These are small — $200 to $1,000 — loans with terms between one and six months with low fees designed to, you guessed it, be an alternative to payday loans. Many credit unions will let you apply for a loan online, particularly if you’re already a member. You can search for a local credit union online through the Credit Union Locator tool provided by the National Credit Union Administration. You’ll need to join the credit union from which you wish to get a loan if you are not already a member. Living, working, studying, or worshiping in the geographic area of the credit union is typically enough to be eligible for membership, though you’ll likely also have to open a credit union checking or savings account. No matter what type of loan you decide to go after — and whether or not you undergo a credit check to get it — you should never sign on the dotted (or digital) line on a loan agreement until you’ve done some math (or had an online calculator do it for you) to determine the actual cost of your loan. The interest fees: These are simply the cost of borrowing money and will be included in your monthly loan payments. Installment loan interest fees are calculated according to the annual percentage rate, or APR, and the length of your loan, with longer loans costing more overall. 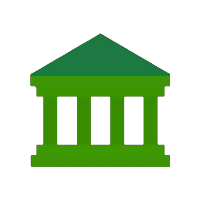 The origination or administration fee: Most lenders will charge a fee to cover the costs associated with evaluating your application and discharging a loan. Origination fees typically range from 3% to 8% of the loan amount, and they come out of the loan when it is disbursed. So, in essence, the cost of your installment loan is simply the total interest you pay plus the amount of your origination fee — both of which should be clearly laid out in your loan terms. And, because installment loan lenders disclose your origination fees and interest rates the same way, it’s easy to compare one installment loan offer with another offer. When it comes to short-term loans, on the other hand, everything gets more complicated. To start, many short-term and payday loan lenders don’t charge interest fees — they charge “finance fees.” These fees vary based on everything from how much you borrow to the state in which you reside. This fee structure not only makes it difficult to compare your options between short-term loans and lenders, but it also makes it hard to compare what you’re being charged for that short-term loan versus what you’d pay for an installment loan. And yes, this is math you really should be doing. For example, consider a typical $500 short-term loan. At best, you’ll probably receive 30 days to pay the loan, with a fee of around $20 per $100 borrowed being fairly standard. This means you’ll repay a total of $600 after 30 days, giving you an effective APR of 243%. While the law helps protect you from predatory installment loans — most installment loans are held to an APR cap of 36% — short-term and payday loans are exempt from this limit in most states. This allows them to effectively charge six times the interest compared to a typical installment loan. Of course, those finance fees you’re charged for the payday loan doesn’t cover the entire cost. At least, it doesn’t cover the cost for most people. In reality, the average payday borrower will end up rolling over their loan several times due to an inability to afford the lump-sum repayment. By the time borrowers have repaid their loan, they’ll have paid more in fees than they originally borrowed. If you’ve reached the point at which your financial situation has become so dire that you are looking for lenders that won’t check your credit, you are in danger of falling into the all-too-common debt cycle that traps millions of Americans each year. Unfortunately, once you’re caught in the cycle, it’s often quite difficult to make it out. On a broader scale, consumers and (some) policymakers are working together to fight predatory payday loans. Some states have outlawed high-interest loans entirely, while other states work to enact restrictions that curb the power of payday lenders. At the personal level, getting out of the debt cycle takes a lot of work. That’s because the key to getting out of the debt cycle is typically making massive lifestyle changes. After all, if your current budgeting method — or lack thereof — were working for you, you would not need to rely on loans to get by between paychecks. For many folks in this position, the solution isn’t as simple as cutting back on the weekly cup of fancy coffee. For anyone, getting out of debt is a multistep process that will require some serious commitment to succeed. But, for consumers with bad credit and debt, that process gets even more difficult. The very first step is to pay off your high-interest payday loans — and to do it now. A personal installment loan will likely be the best option here; even with bad credit, you shouldn’t be charged more than 36% APR, which, while not ideal, is a far cry better than you’re likely paying for that payday loan. Plus, installment loans can be adjusted in term length to reduce the monthly payment, making them significantly easier to repay than short-term loans that require the principal and fees all in one payment. Remember that extending the repayment time will make the loan more expensive overall. While getting away from the payday lenders is a start, you’ll also need to address the core of your issue: spending more than you make. If you haven’t already, it’s time to take a long, hard look at your expenses. Be brutal here; you don’t need cable television to survive. Also consider getting a roommate, or even moving in with friends or family to cut housing expenses. Having your own place is lovely — but not at the expense of your money, credit, and sanity. If you can’t realistically cut any of your expenses, then the only real alternative is to make more money. Get a second job, a side hustle, a raise — whatever brings more money in to help relieve the pressure on your budget so you can stay far away from loans with triple-digit interest rates. But, while not reaching the minimum height requirement on a roller coaster means you’ll miss out on the ride, having to undergo a credit check doesn’t necessarily mean you’ll be rejected for a loan — even with a low credit score. In the end, the best way to get a loan with bad credit isn’t to avoid lenders that will check your credit. The key is to select lenders that, well, lend to people with bad credit. This may mean your local credit union, or it may mean a reputable online lender that specializes in subprime borrowers. Either way, it’s important to keep in mind that credit checks aren’t just for the lender’s peace of mind. Credit checks help lenders reduce their overall risk, which, in turn, can help keep costs low for all of a lender’s customers, not just the ones with the best credit.